Home Blog Posts Take Action to Defund ICE and CBP! 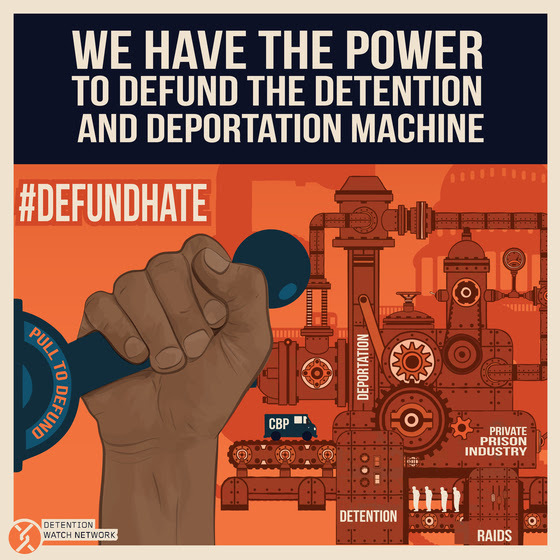 CRLN is supporting the Detention Watch Network’s Campaign, #DefundHate, to cut funding for Immigration and Customs Enforcement and Customs and Border Protection. ICE has greatly expanded its detention of immigrants and now detains over 49,000 on a daily basis. Click here to read more about this on Detention Watch Network’s webpage.